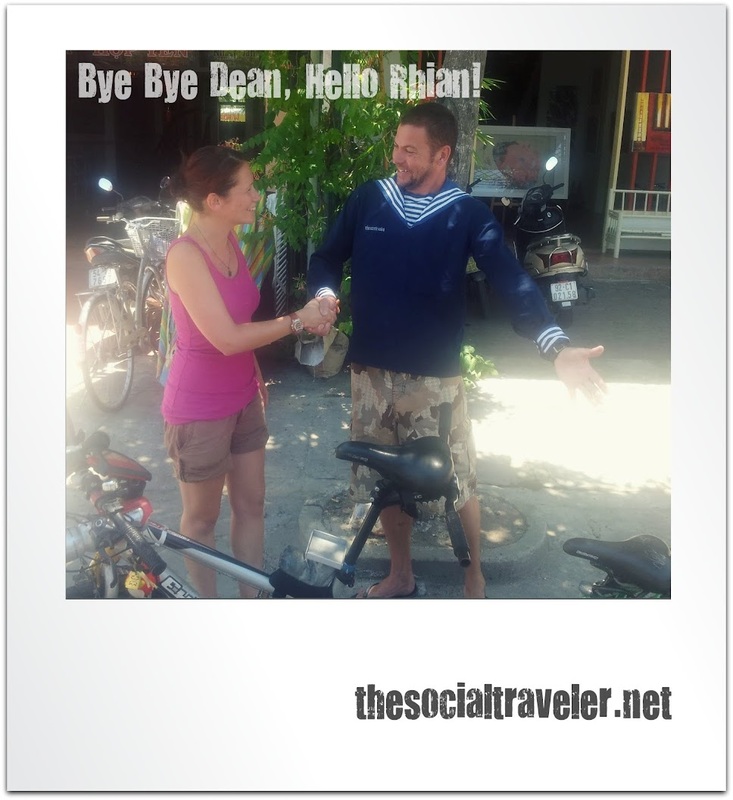 Bye Bye Dean, Hello Rhian! 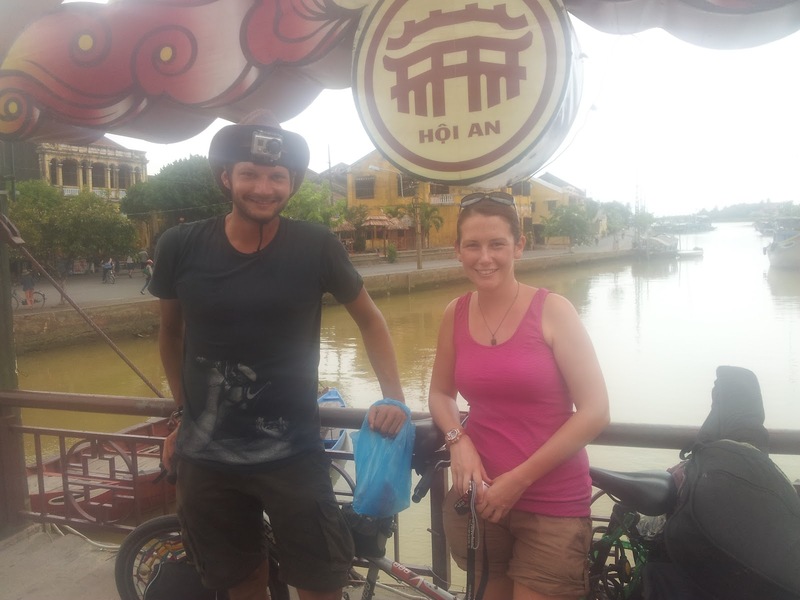 After a goodnight sleep my new tandem buddy Rhian was excited about getting on the bike and start her tandem adventure with me to Hue. This trip of 120 km should take us about 2 days. 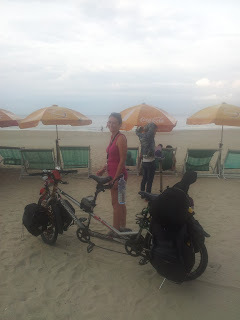 We decided to do a short jump to Da Nang, go to bed early and make sure that we'll be ready to tackle the biggest climb on this trip so far. 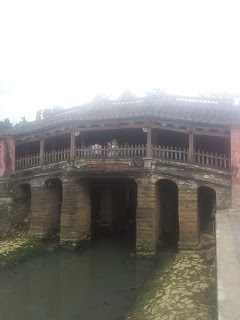 Just before Hue there's quite a significant mountain pass that needs to be conquered. 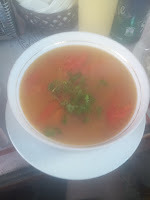 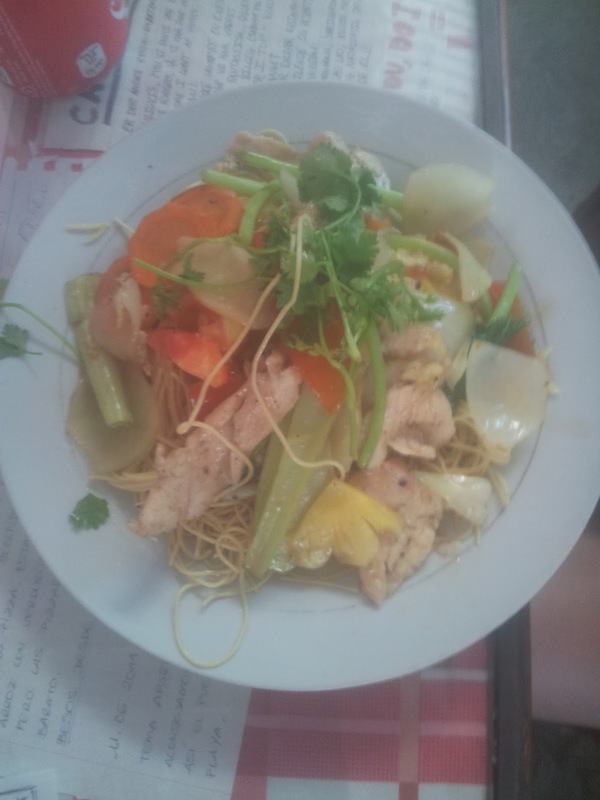 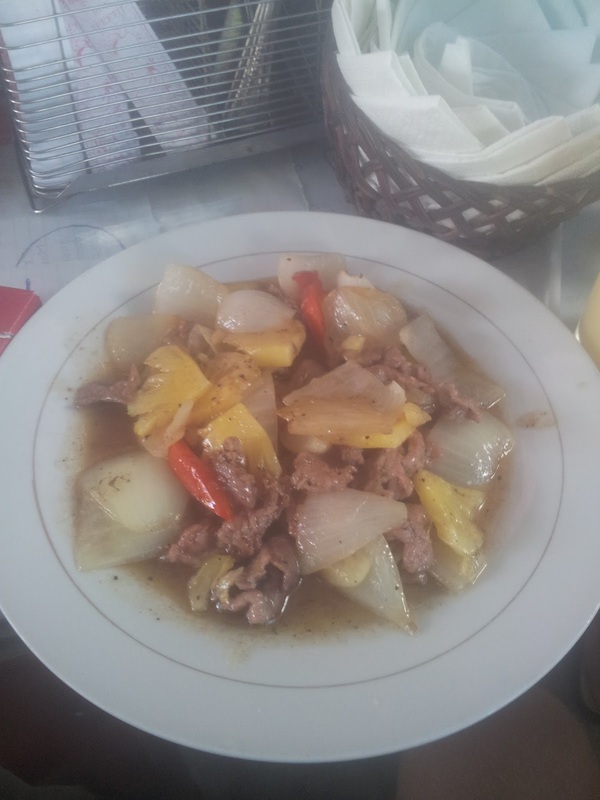 Before leaving we first had a goodbye lunch with Dean and Maria at Café 43 in Hoi An. Lovely small family restaurant with cheap but amazing food! 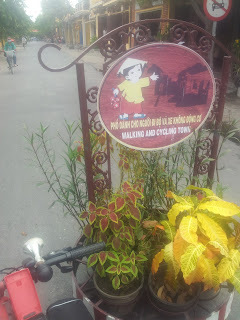 If you're ever in this lovely village make sure to go pay it a visit. 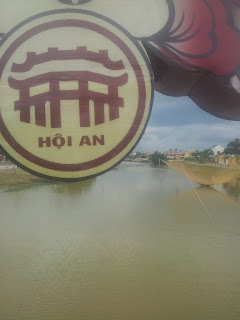 After luch we said goodbye to Dean and went off for a short trip around the old town of Hoi An where we shot some more pictures. 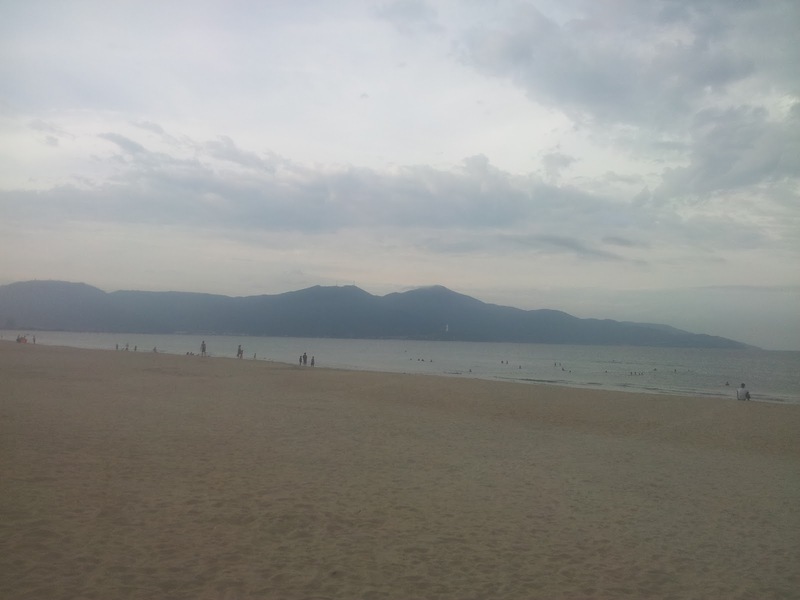 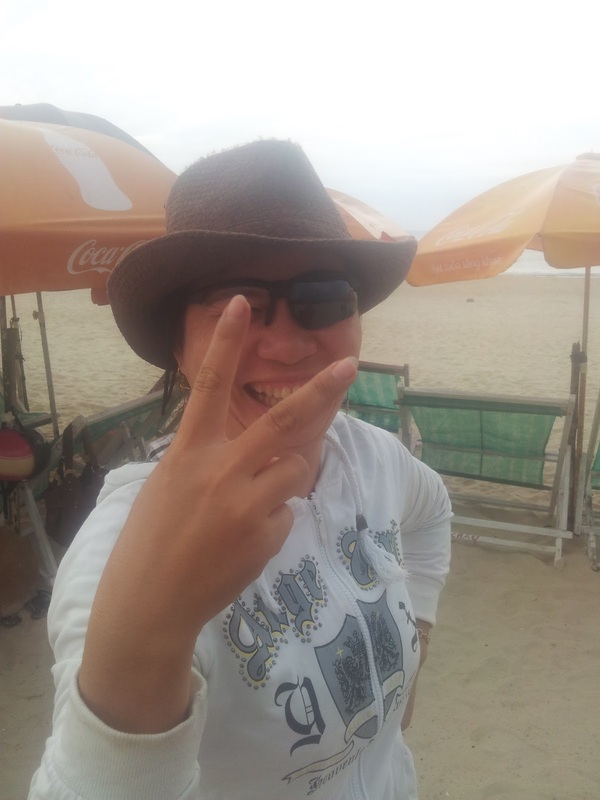 Then it was off to Da Nang which only took us 1,5 hours to reach. 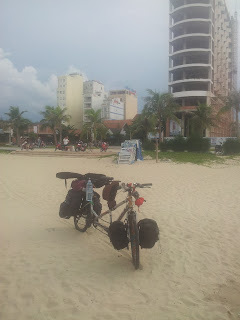 We followed a nice and scenic road next to the water and had quite an easy and fun ride. 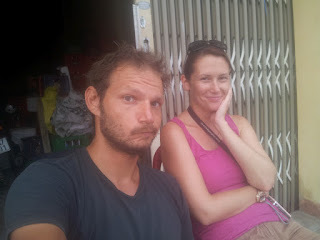 We were having our refreshing 'Revive' drink while a couple walked towards the bike. 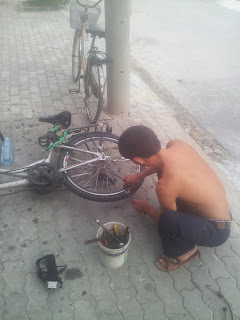 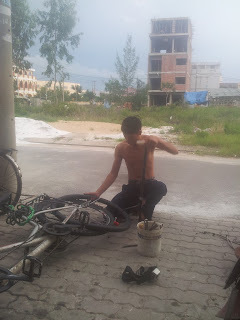 He was admiring the bicycle, saw the flat tire and proposed to fix it :-) We just followed him to his place where he patched the tube.